New cost benefit analysis has claimed residential solar offers a win-win for Ireland’s households and its government in advance of the final publication of a consultation on the renewable energy support scheme. The study, commissioned by Friends of the Earth (FoE) and carried out by climate researcher Joseph Curtin, has claimed that support for solar power on 50,000 homes can be done “at a reasonable cost and in a fair way”. It argues that a generation tariff of €0.09-0.10 should be introduced as “the real subsidy”, with an export tariff of €0.066 set in line with the average spot price paid for electricity by suppliers. Curtin adds that cost effectiveness can be managed by capping the overall quantity of support available at 150MW by 2030, which can be offered to homeowners on a first-come-first-served basis. This, he argues, is the level of support needed to make solar attractive for Irish households and could offer a payback of roughly ten years. After 25 years, a €5,700 investment in solar would have netted an undiscounted return of €14,244 (assuming a 20-year generating tariff, and savings on bill and export tariff for 25 years), or a net undiscounted householder benefit of €8,544. Speaking about the research, Curtin commented: "Solar power offers many benefits for citizens, and is a potentially vital component of the flexible and responsive energy system of the future. Our financial modelling suggests that a generation tariff of about 10 cent per kilowatt of electricity would be required to make rooftop solar PV attractive for householders. "Electricity bills would be reduced by allowing householders to generate their own electricity, but they must also be able to sell to the grid what they cannot use themselves. To control overall costs to government, we propose that the scheme is initially capped at 50,000 householders. The scheme we propose would likely be broadly attractive, and not just for the wealthy." With the 150MW limit, roughly equivalent to 50,000 houses with solar PV by 2030, these support levels would provide an additional annual cost to Ireland’s Public Service Obligation (PSO) of €12.5-13.8 million. The study contends this would be “a reasonably cost-effective option” when considered in terms of t/CO2 at €213. 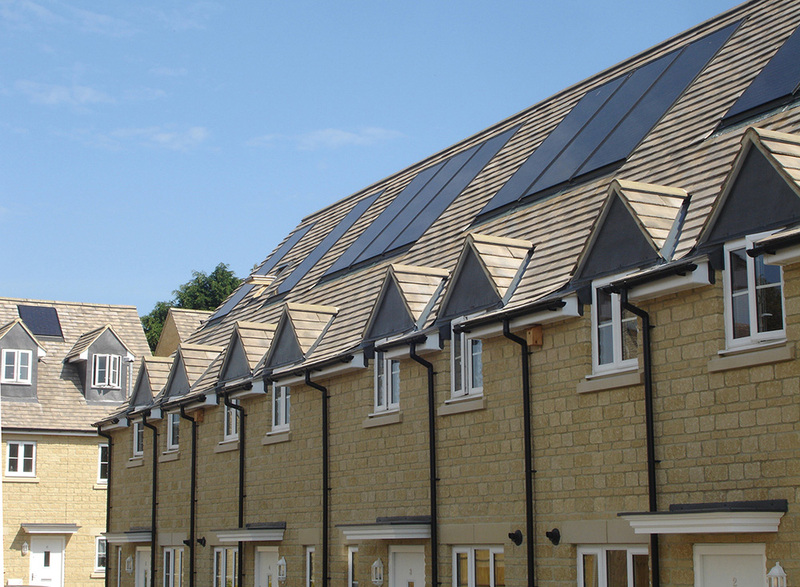 If required, the report claims further cost-capping measures can be introduced including a limit to 3kW retrofit systems, as many new builds are already being built with solar, and some form of degression mechanism which could be considered to control costs, depending on rapidity of deployment and interest from householders. It adds that such a design, with an export tariff set at half the rate of the peak electricity tariff for household (13.5 cent), a marginal incentive would be created for domestic consumers to invest in storage and other technologies as they become cost effective. The study was commissioned by FoE to counteract what it has called “a perception” that rooftop solar is too expensive to support or that supporting it can have other negative unintended consequences. While the report concedes that larger solar schemes offer more attractive economies of scale and lower transaction costs, it claims the ability of domestic installations to save energy which would otherwise be paid for at the rate of the peak electricity tariff is “underappreciated”. This it says improves the economics considerably and will allow for fewer subsidies in the future. While FoE’s report makes the case for rooftop solar including commercial installations, a number of these projects are already going ahead without subsidy. Swiss roof mountings manufacturer Schweizer recently explained to Solar Power Portal that a number of commercial and industrial projects were underway, with some clients getting a 5-7 year payback depending on their energy price and self-consumption levels. There is little evidence to suggest this is the case in the residential sector, with FoE director Oisin Coghlan claiming it is now time for the Irish government to live up to its promises to households. "The government has promised to put citizens and communities at the heart of the transition to a clean energy system and this research shows that solar power is the key to unlocking citizen participation,” he said. "Now is the opportunity for the Taoiseach and the minister to deliver. So why the delay in publishing the new support scheme for renewable electricity? "We're really concerned that some economists with no interest in public participation, and big power companies who want to keep the market to themselves, are telling the government not to pay households and communities for the electricity they generate. To leave it to the 'big boys' to provide Ireland's renewable energy. We have the seen the limits of that strategy with wind power. We don't want to repeat the same mistake with solar energy. "We have to hope that politicians will follow the evidence and the public interest not the special pleading of vested interests." The publication of the final consultation on the renewable energy support scheme for Ireland has been anticipated for months, with the Department of Communications, Climate Action and Environment (DCCAE) stating it would be out in July. When this did not emerge, SPP was told it had been delayed further and would be out this month however a spokesperson failed to respond today when asked why it had yet to be published, or what the new timetable would be.